Trying something new! I have always heard that you cannot add color to hot process soap. I have not done any research to conform this. Today I made two batches of soap. The Squash Blossom and Father Sky and They have color. I mixed Cucumber peels with so avocado powder and olive oil and it is Green. I cannot wait to cut them up tomorrow night. I will up load some pictures after I cut them up. If you would like to see what soaps are ready you can go to my etsy sight. I have the ones listed that are cured. Well it is time to get all the soaps wrapped. Until next time, be safe, be HAPPY. Indian Paintbrush. This is wonderful. It smells like Cherry coke. It is a mixture of vanilla and cherry. Do your winter hands have cracks and dry skin? 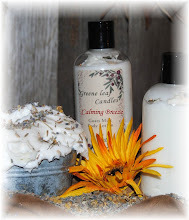 Come in to LBoC and check out or Thick and creamy lotion. This lotion is great for those winter hands. We do have it in a variety of scents and we can make it in any scent you like. 214 East Dewey Sapulpa, Okla. I am so excited to tell you that I am opening a small store inside of Little Bit of Country. We are located at 124 East Dewey in Sapulpa. Our store hours are 10-5:30 Tuesday- Friday and 10-3:30 on Saturday. I will start posting my sale of the week every Monday and it will end on Saturday Evening. I have a full line of product in the store. Come on my and check it out. We did several shows in November and December. We also held an open house at Lil Bit of Country in Sapulpa. We recently placed a lot of product in Lil Bit of Country and you can often find us there meeting with customers who want to shop with us or have an appointment with us. We are also revamping our entire website and shopping applications. We have hired Joan from LocalHoma.com to help us. LocalHoma.com provides Web Design, Search Engine Optimization, Internet Marketing, Social Media Management, Directory Services and Consultation services to small business owners in Oklahoma. Joan is working on the site each day. We hope you will be patient with our construction process. We think you will like what you see when we clear away all the dust and debris! Little Bit of Country located in the heart of downtown Sapulpa on Historical Route 66, features products from Oklahoma Artists. Products range from hand forged iron décor, pottery, leather & hide bedding, and window treatments, painted children’s furniture, unique candles, rope baskets and much more. Owner Gary & Diane Gloden have been in business over 15 years. Gary & his sons are the blacksmiths, and create the custom iron décor. Gary also teaches artistic blacksmithing. Diane specializes in custom leather bedding & window treatment, painted children furniture & interior design. Little Bit of Country primarily features Ranch home décor, but offers many styles and gifts. I was not for sure how to start a blog. I have never done one. So I thought I would start by introducing the newest member of our family. Spike Isn’t that the cutest face you have ever seen. He is a year old and come from a rescue center. His tongue is to big for his mouth. So he always tips his Head and sticks out his tongue at you. If you have any tips on potty training I sure could use them. I grew up in a small town, married my high school sweetheart. We have three great healthy kids along with a wonderful home and farm. We try to be as natural as our life style will allow us too. We always recycled everything that comes into both the home and business.